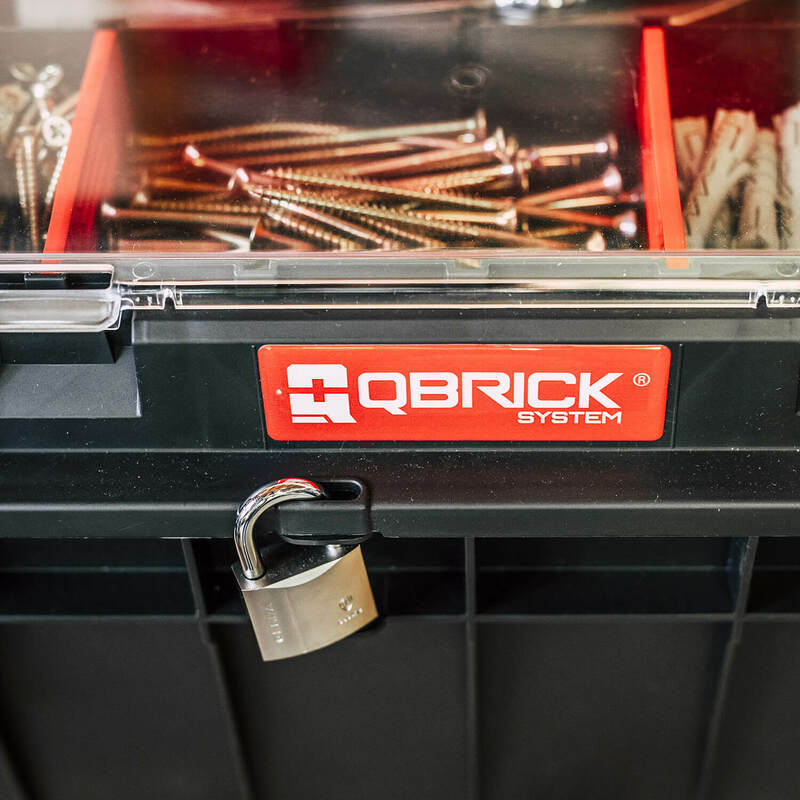 PRO 500 is the smallest toolbox in the new generation of Qbrick System toolboxes. 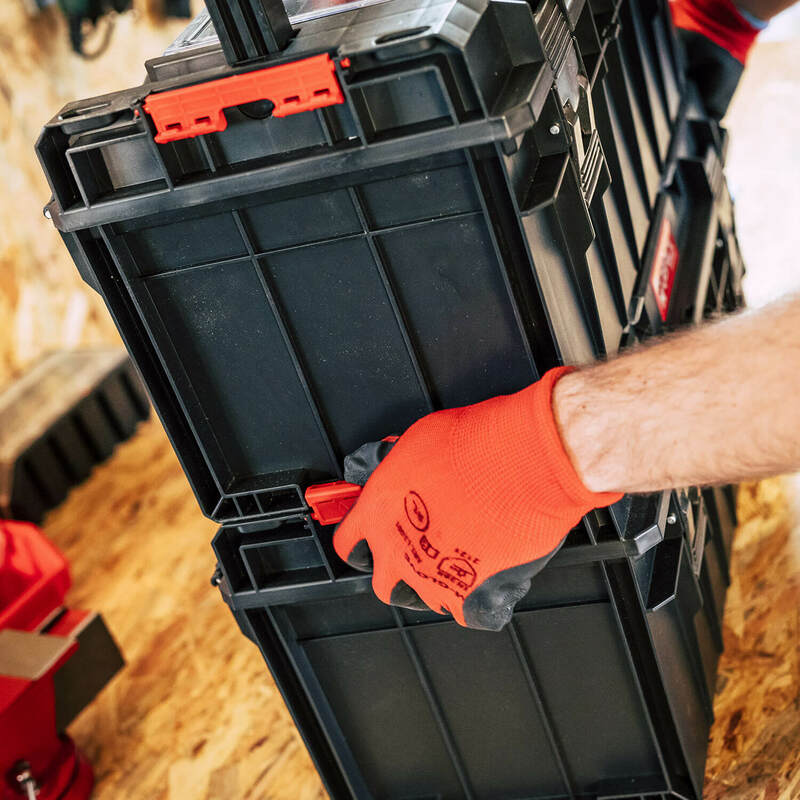 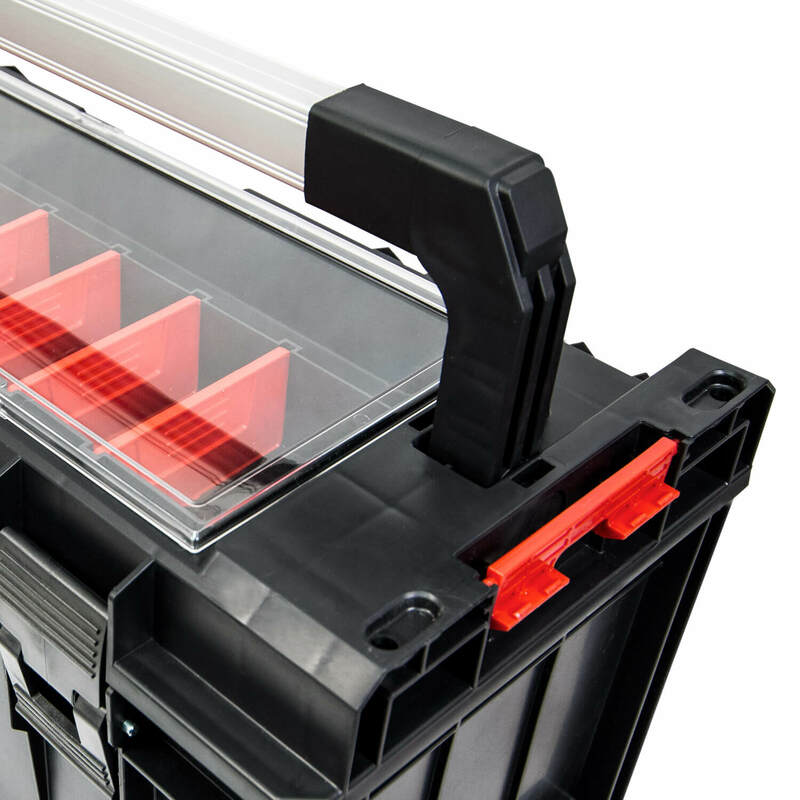 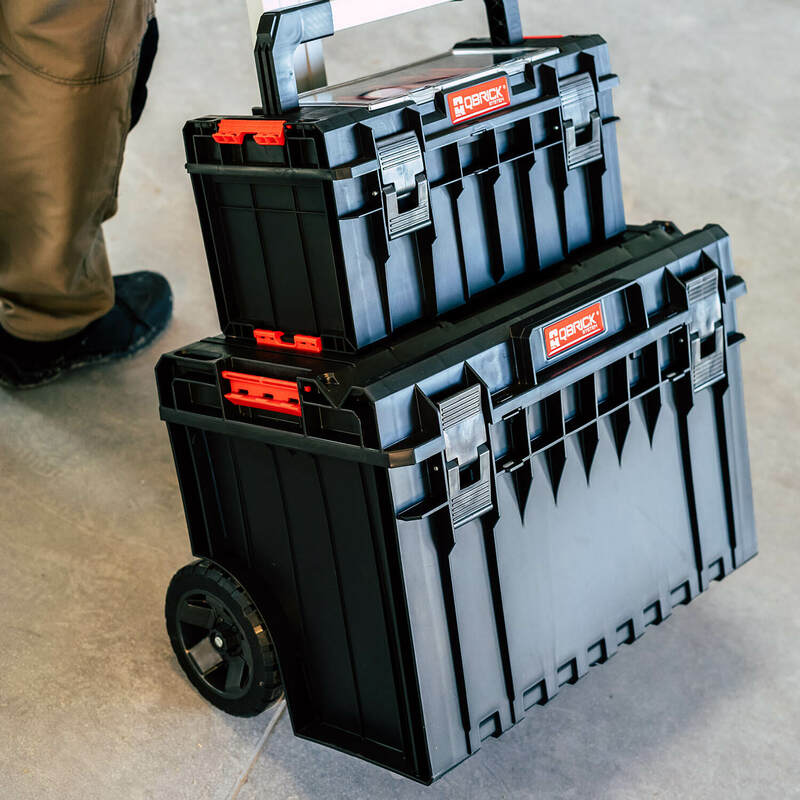 PRO line stands out in its class thanks to the feature allowing toolboxes to be pieced together using polyamid connectors and elastic seal preventing interior from damage by water and dust. 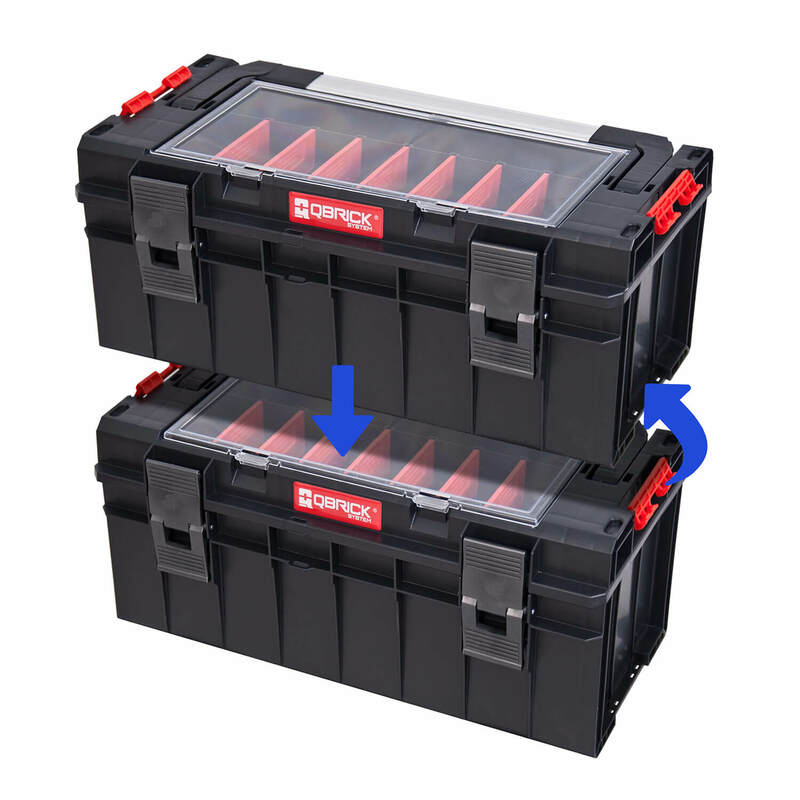 Solid aluminum handle, polyamid latches and side connectors along with polycarbonate transparency in lid's organizer guarantee longterm and trouble-free usage. 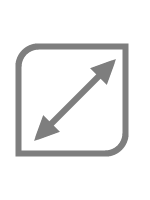 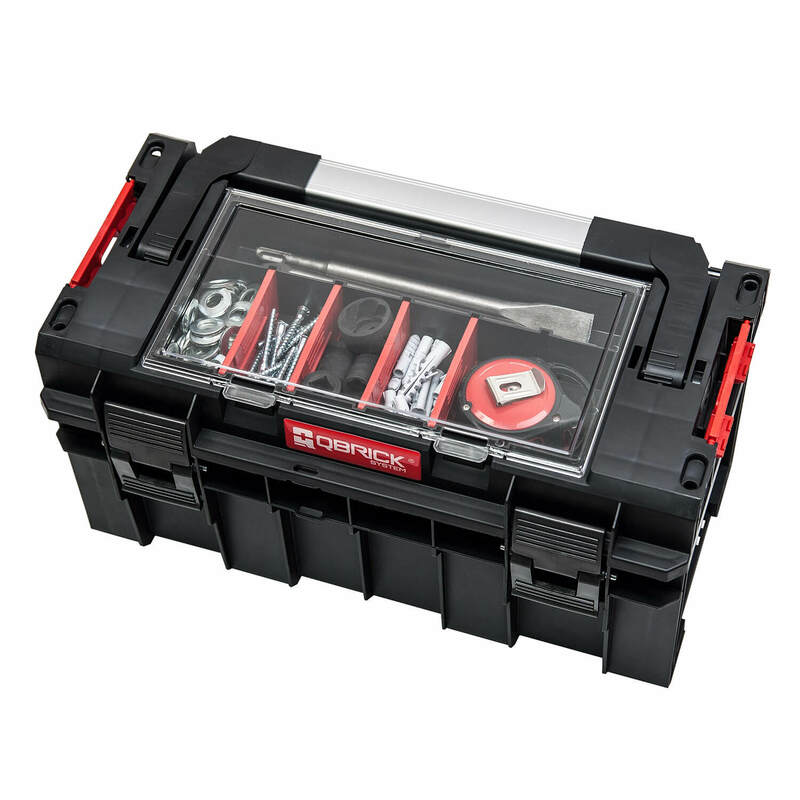 Compact toolbox for universal usage! 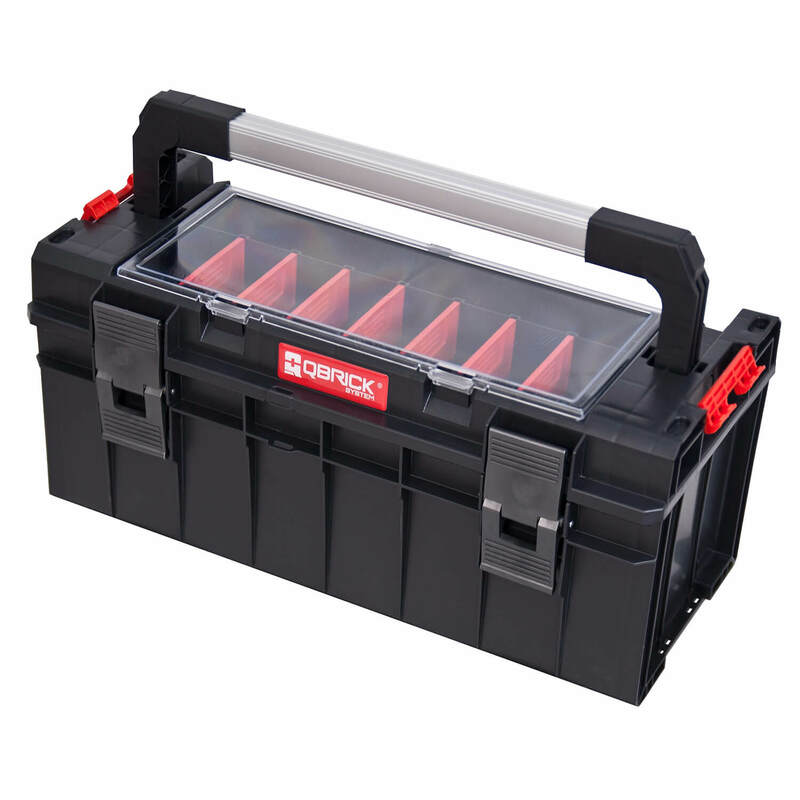 PRO 600 is optimal in size toolbox, perfect for both professionals and enthusiasts alike. 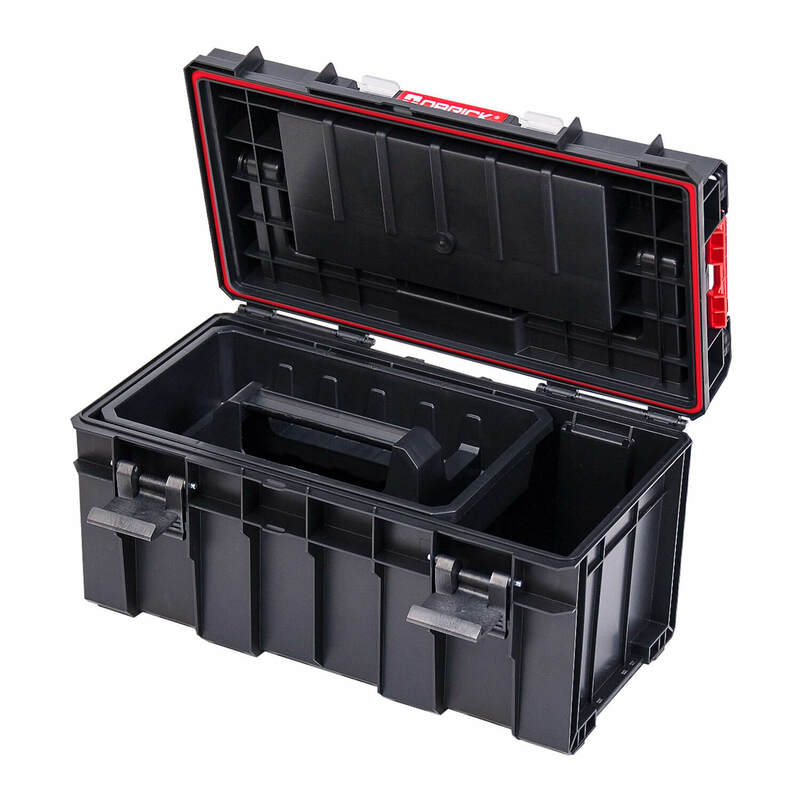 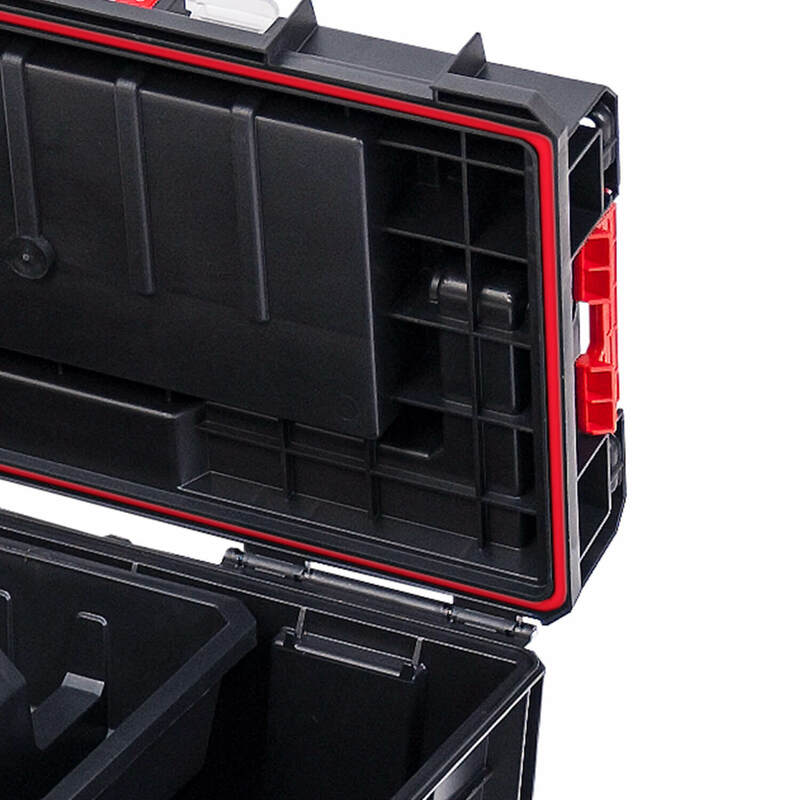 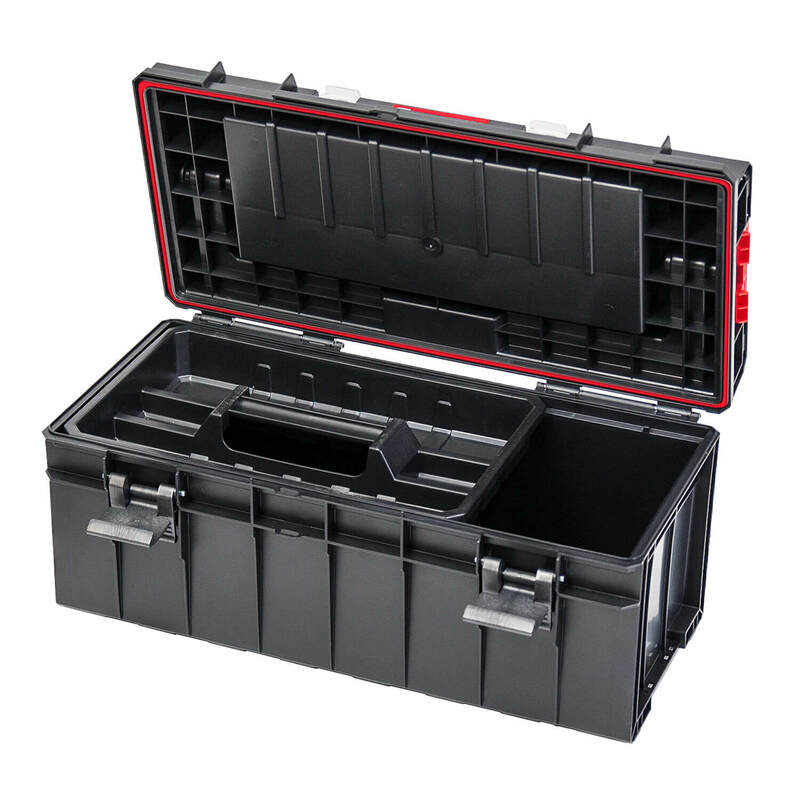 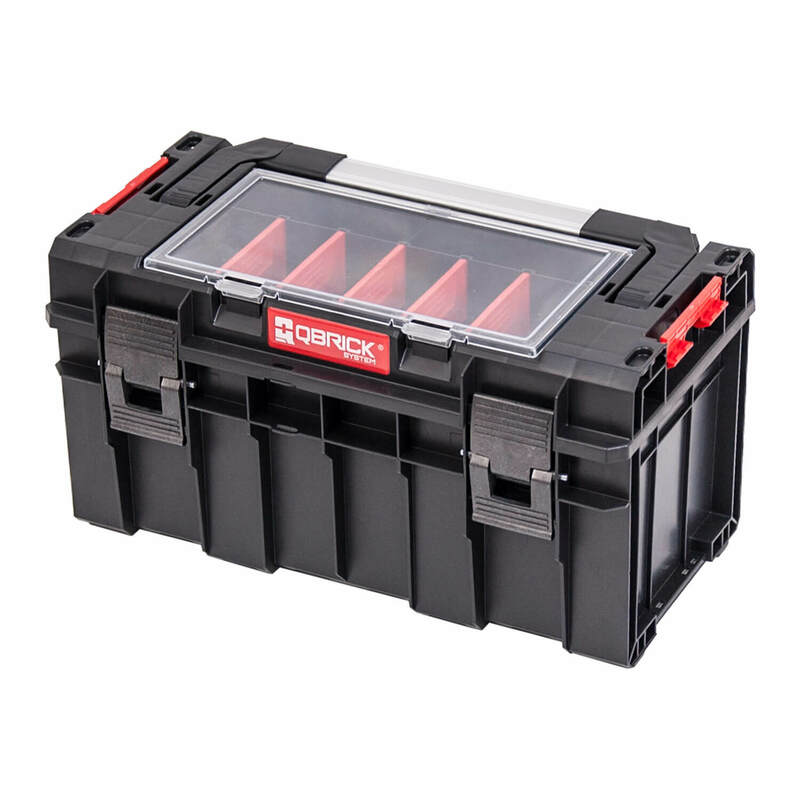 Full water resistance, polyamid connectors allowing toolboxes to be pieced together, very durable body, solid aluminum handle, large organizer in lid with polycarbonate transparency are the most standing out features of this model. 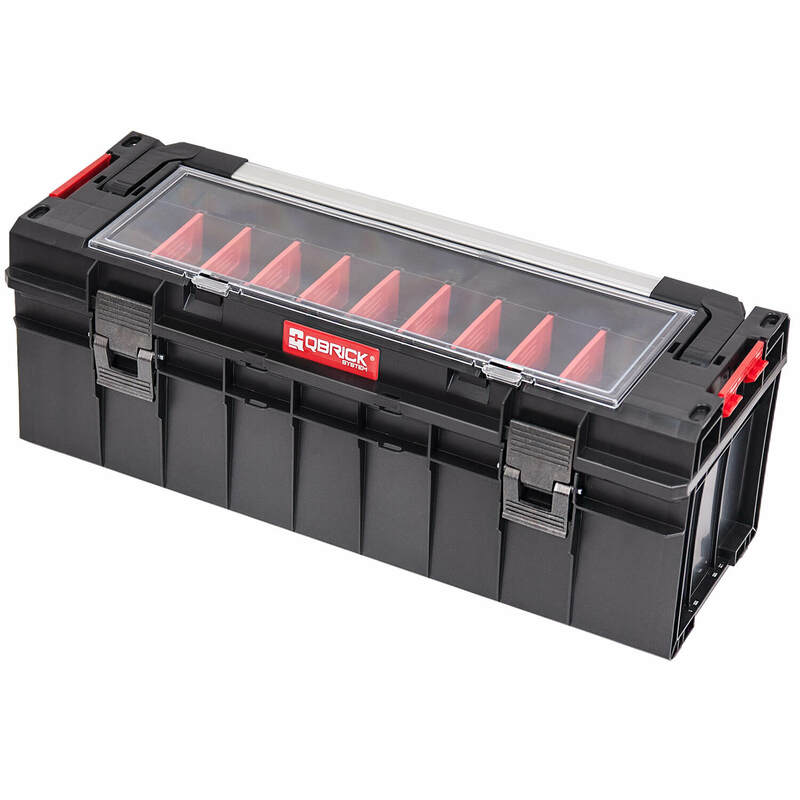 Classic toolbox with cutting-edge solutions! 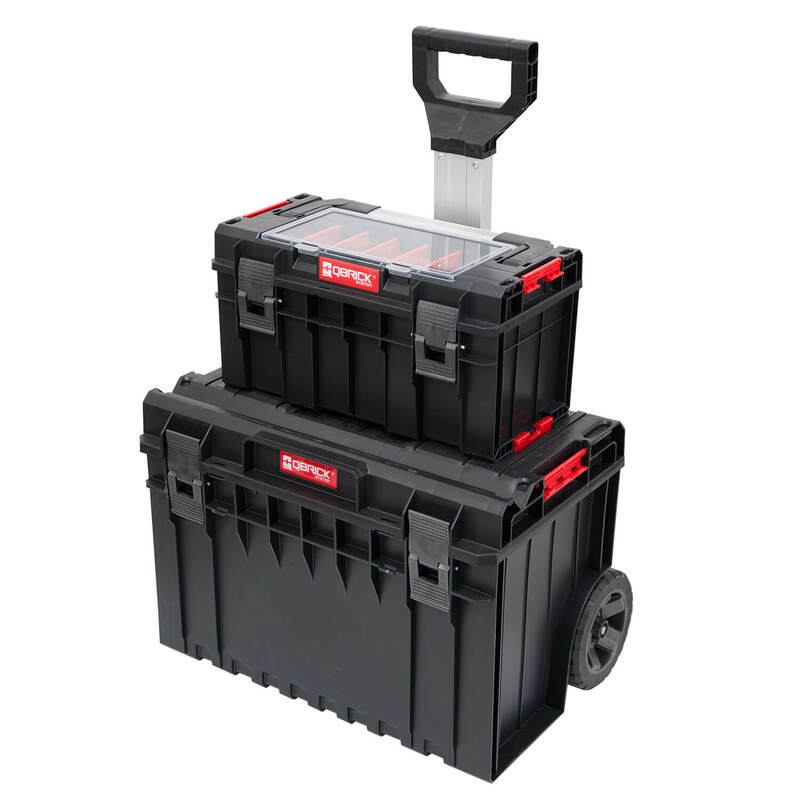 PRO 700 is the biggest model enabling safe transportation and storing the biggest tools. 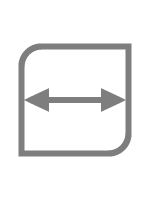 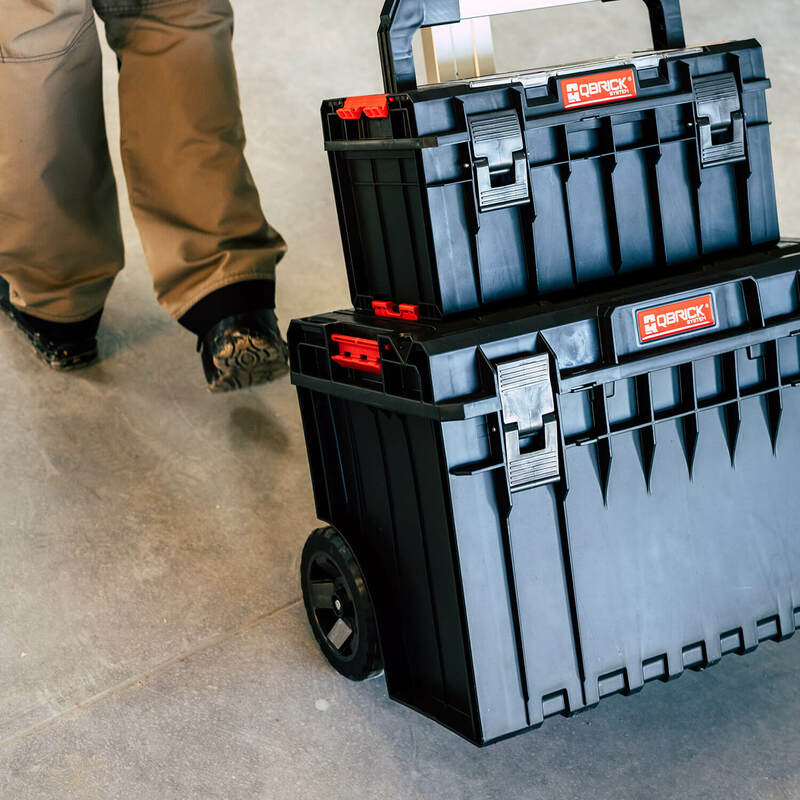 Pieceing together two toolboxes allows to move around lots of tools with only one hand. 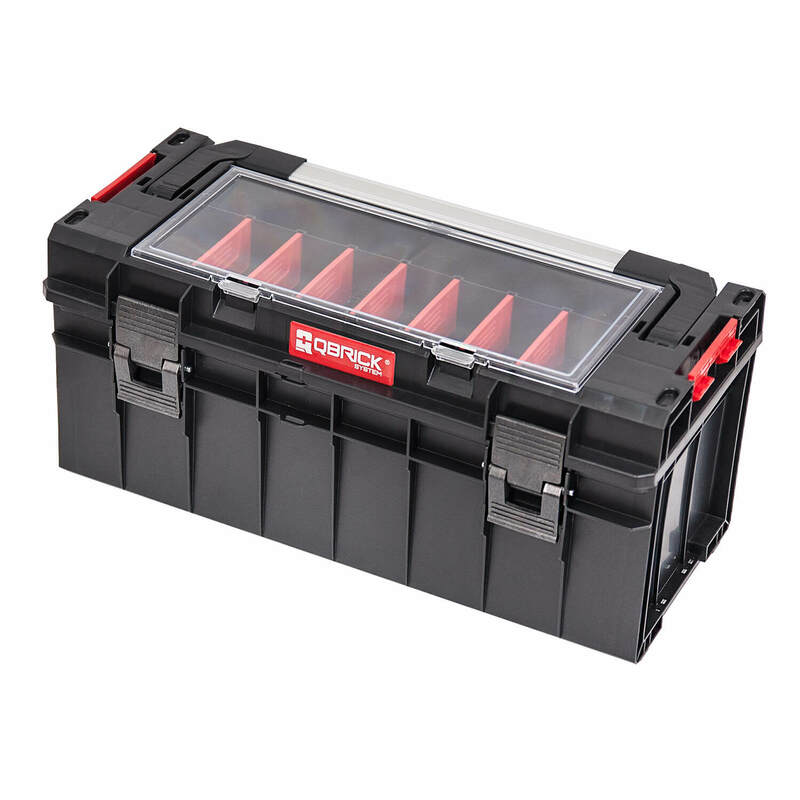 Large organizer on lid contains 11 compartments with movable dividers and can easily contain large level, long drills and smaller accessories. 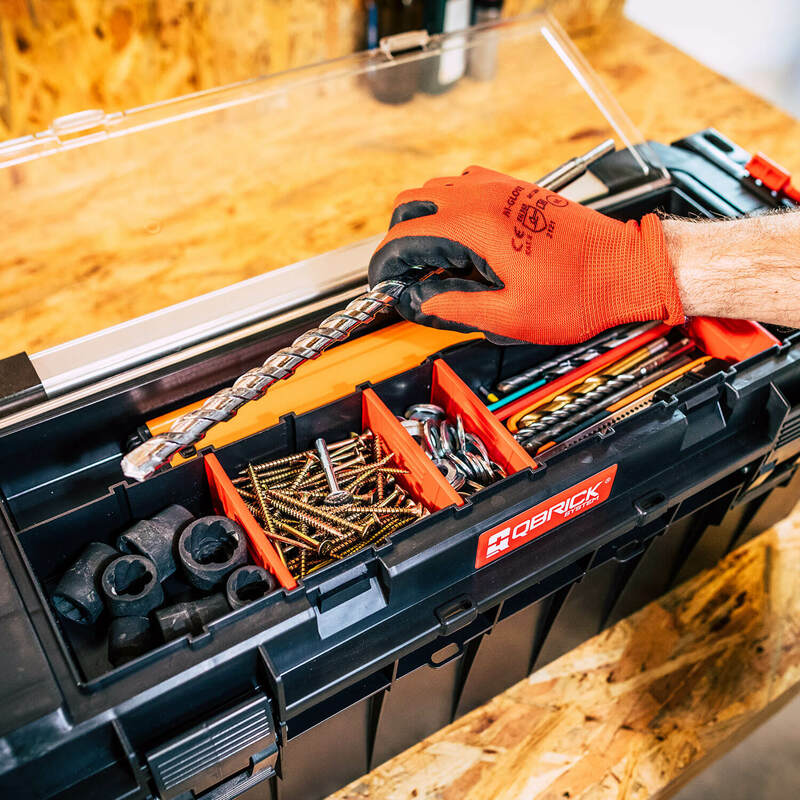 Everything fits comfortably in this toolbox! 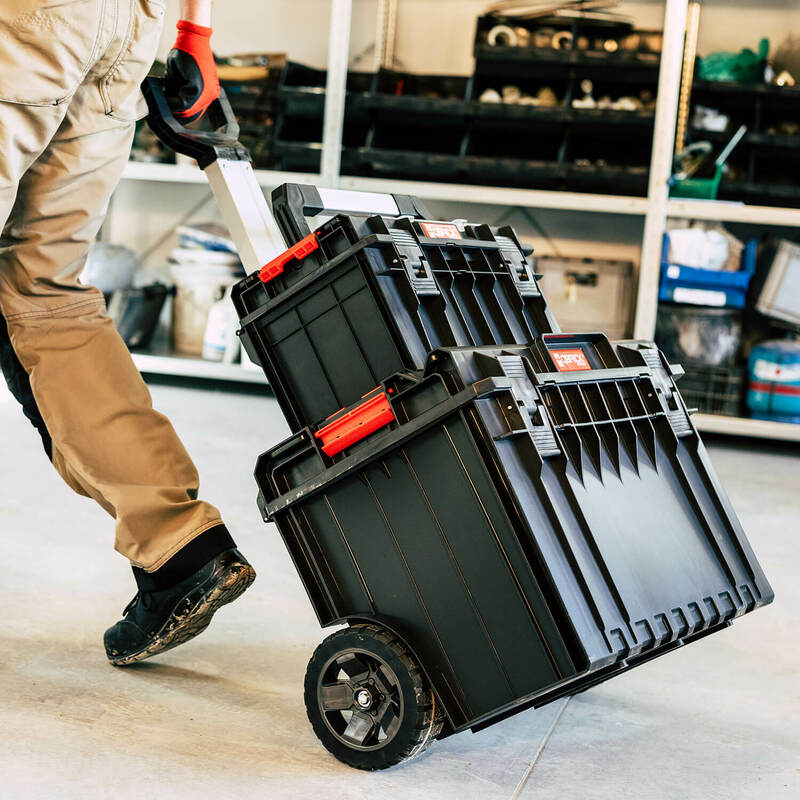 CART PRO is a creative connection between large, mobile tool cart - perfect for transportation of large power tools with compact toolbox PRO 500 - perfect for storing basic work tools and equipment. 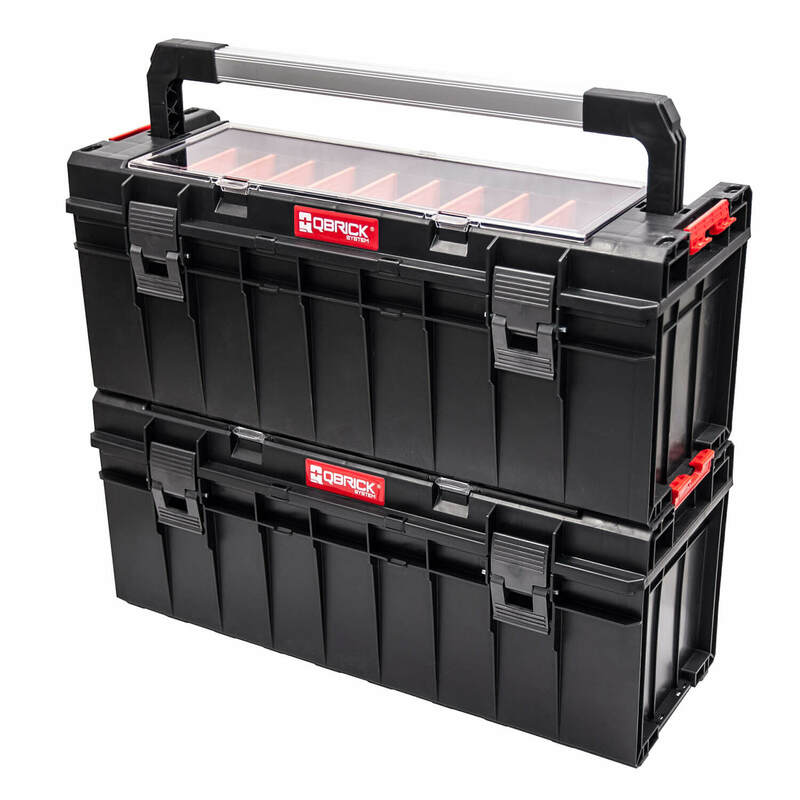 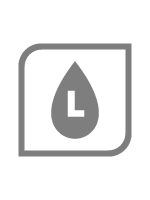 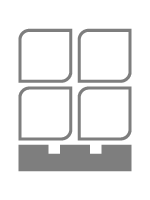 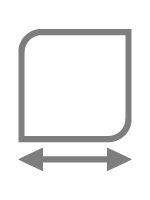 Both toolboxes and tool cart have elastic seals that prevent content from being contaminated with water and dust. 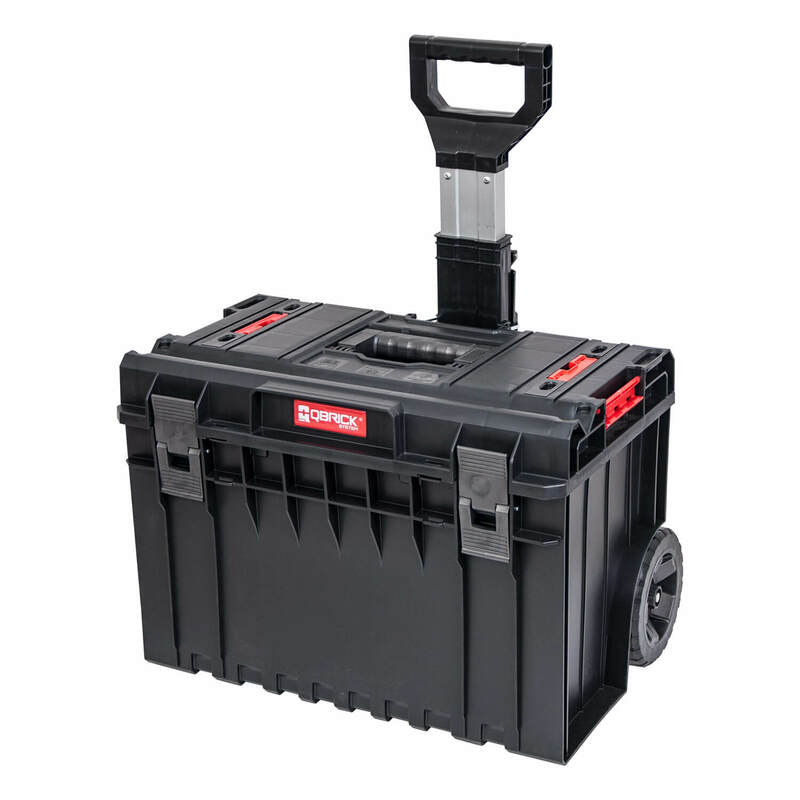 Irreplaceable duo for special tasks!